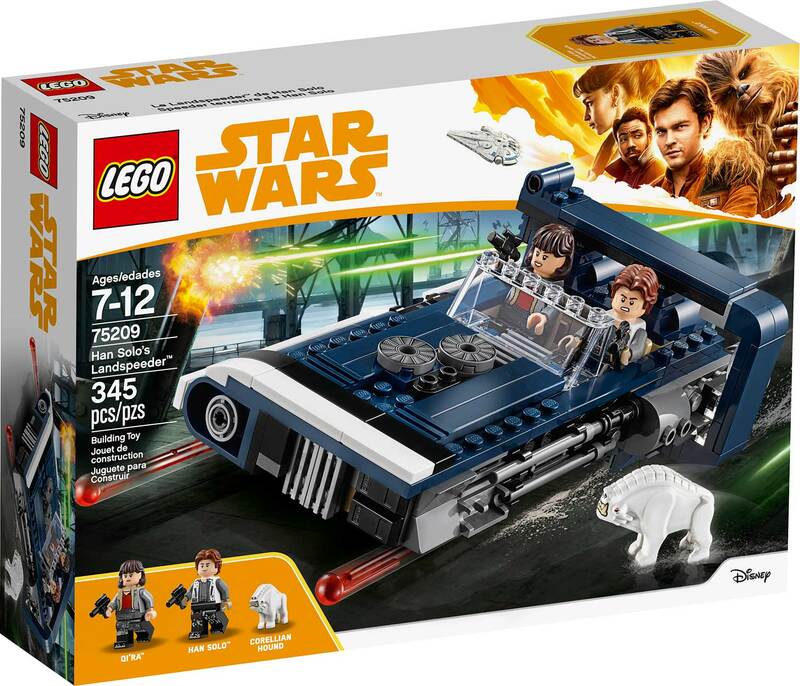 Travel with Han Solo and Qi'ra in Han's super-fast Landspeeder. Open the hood and use the wrench to check the engine. 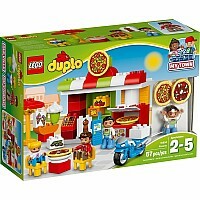 Open the rear compartment to hide the secret cargo. Unload the ammo and rearm the blasters. 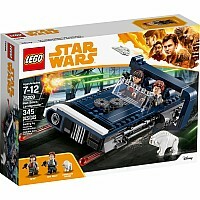 Then jump into the speeder and zoom off on exciting adventures... just watch out for the ravenous Corellian Hound! 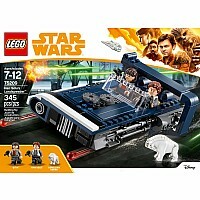 Includes Han Solo and Qi'ra minifigures, plus a Corellian Hound figure. 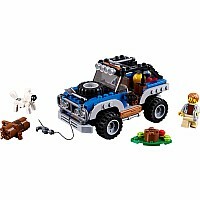 Features an open 2-minifigure cockpit, opening hood with ammo and accessory storage, removable engine, rear storage compartment with secret cargo, hidden wheels for a hover effect, and 2 spring-loaded shooters. 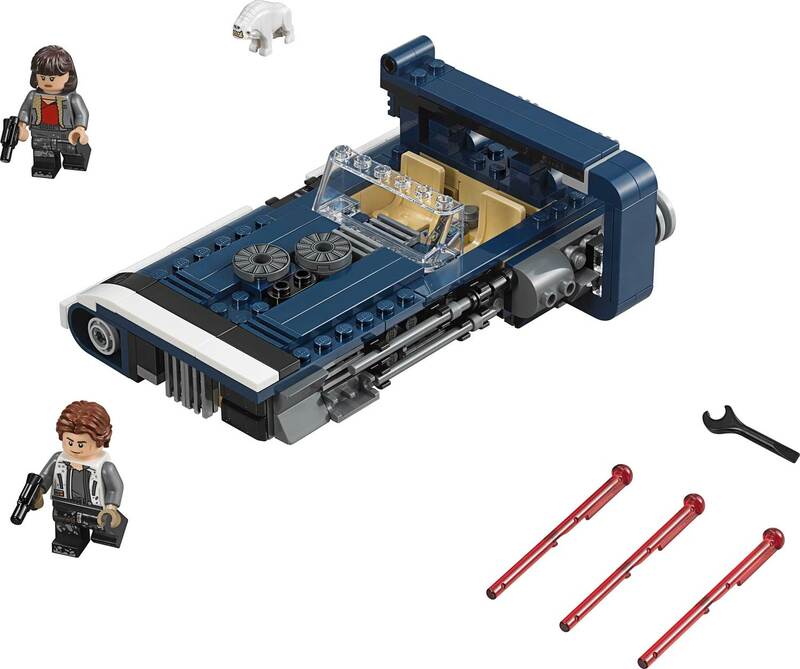 Remove the engine for a much-needed overhaul. 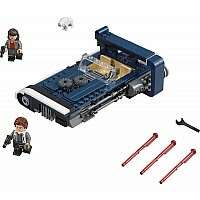 Also includes 2 blaster pistols. 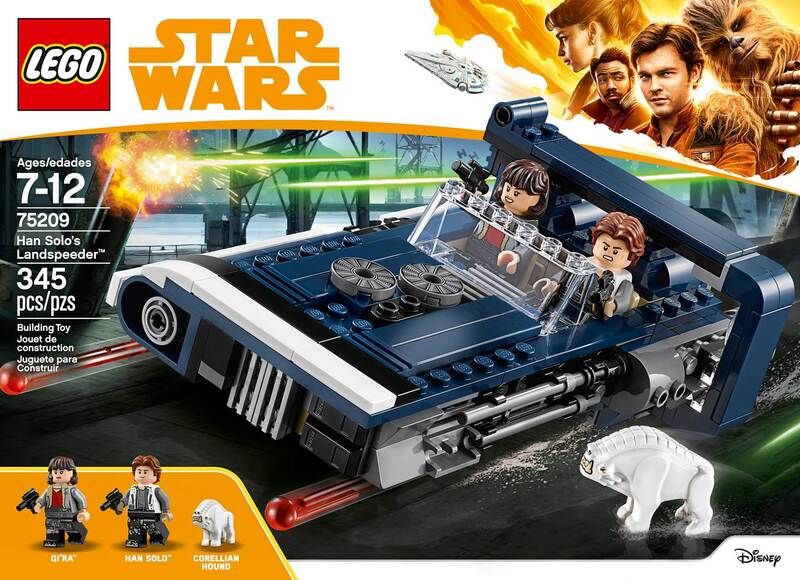 Play out epic Han Solo movie chase scenes with 75210 Moloch's Landspeeder! 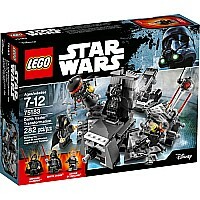 This LEGO Star Wars toy is suitable for ages 7-12. Measures over 1" (5cm) high, 6" (16cm) long and 3" (10cm) wide.